These remarks were given by David Bollier at the Free Culture Forum [www.fcforum.net] in Barcelona, Spain, on October 30. This conference takes place at a time of great promise and great peril. Great promise, because we have the opportunity to secure what I call the Digital Republic. And great peril, because the 20th Century content industries show few signs of recognizing the legitimacy and value of the digital commons and its principles of openness, participation and decentralized control. So I thank the organizers of the Free Culture Forum for bringing us together to discuss the future of our Digital Republic. You may be wondering: What is this Digital Republic? It is the federation of self-organized commons that constitute free culture. It is the new vision of democratic practice that we have been creating for a generation. We are the hackers and programmers who have built and maintained GNU Linux, Apache, PERL, blogging software, wikis, social networking and wifi. We are the musicians and filmmakers who create works that speak to our time —serious, funny, eccentric — and move beyond the hyped, formulaic, lowest-common-denominator "product" that Hollywood and the big record labels keep churning out. We are artists who are fed up with corporate middlemen taking most of the money that our creativity earns. And so we are creating our own online platforms and own audiences — audiences whom we respect, and who respect us. We don’t sue our audiences, and harass them and rip them off. We are the bloggers and citizen-journalists who are unmasking the lazy biases of mainstream journalism. We report on the scandals and outrages that the mainstream press ignores. We uncovered the lies about Weapons of Mass Destruction in Iraq; the Spanish government’s manipulations of the truth following the terrorist subway bombings; and the dangerous security flaws in the Diebold electronic voting machines in the U.S.
We are the street protestors who use Twitter and YouTube to petition our governments for change — the "flash mobs" in South Korea, the street protesters in Tehran, and the environmentalists organizing people to stop global warming. We are the countless "insurgent communities of practice" that Professor Manuel Castells describes in his book Communication Power. We are academics who are building a growing empire of open-access journals — more than 4,000 at last count — to make research free to anyone in perpetuity. We are tired of paying exorbitant subscription fees and not being able to access publicly funded research because publishers have put them behind paywalls and digital rights management systems. We are scientists using the Semantic Web to create new types of research commons. Our innovations let us share data, specimens and literature more easily, and so accelerate discovery and innovation. We are entrepreneurs who champion open business models and reject the need for extreme copyright protection and closed, proprietary platforms. We realize that "the people formerly known as customers" are now "co-creators" who actively build the value of our companies. All of these people — commoners — are driving a huge, robust and expanding phenomena of global culture. It is no exaggeration to say that we constitute a great emerging superpower. Amazingly, however, we are invisible. Because we aren’t pursuing conventional business models; because we don’t seek to enforce strict and absolute copyright protection on our work; because profit is not our foremost objective, we don’t get respect. Government and industry tend either to ignore us or treat us with contempt. At bottom, they refuse to acknowledge the value of what we are creating — or they see our commons as a threat. And so they exclude us from policy deliberations, subsidize and protect the archaic business models of corporate giants; and they try to criminalize our sharing, copying and creative transformations of works. They want to make our fundamental personal and cultural practices — our commoning — illegal. So I want to start by proclaiming the existence of the Digital Republic — and its growing powers. What most distinguishes our Digital Republic is that its resources belong to us, the commoners. Google, Yahoo, YouTube and other financial titans cannot simply appropriate and privatize them. That’s because we have invented our own platforms, our own software tools, our own legal licenses, our own social ethic, to control our collective wealth. We aren’t worried about free riders or any “tragedy of the commons.” Our Digital Republic is all about the cornucopia of the commons. Even though we may be a sprawling federation of tribes with many different identities and customs — hackers, Wikipedians, mashup artists, bloggers, open-access publishers, and so on — we share a history and ideals. We all honor openness and participation. We celebrate sharing and collaboration. We insist upon unfettered creative freedom. We reject the idea that a work must be enclosed in private property rights or be traded in the marketplace in order to be considered valuable. At the heart of our success are new forms of commons governance. Unlike our counterparts in government and markets, our governance is extremely lightweight, transparent and democratic. In our very openness, we are a rebuke to the so-called democracies of the world. Most of their public policies are corrupted in significant ways by legal and not-so-legal corporate bribery. Few have any real interest in genuinely empowering their citizens. That is why free culture is so significant. It gives us freedoms that most governments and marketplaces do not. Free culture gives us a genuine power to participate and to control important dimensions of our lives, to build our own communities. Free culture gives us the power to transcend the corruptions, compromises and cronyism that tend to occur under closed, proprietary systems, whether theyare run by governments or markets. The tech magazines will tell you that freedom is all about more RAM, or a faster chip, or augmented-reality software, or an iPhone. I prefer the wisdom of Cicero, who said, "Freedom is participation in power." You could say that we commoners have a different conception of value. This, frankly, is what makes out adversaries freak out. We believe that socially created value is as important as the money economy. And here’s our real source of strength: We have developed the tools to manage and protect our socially created commons from corporate appropriation. The Digital Republic exists only because we have fought for it over the past twenty years. We fought industry attempts to sabotage GNU Linux and the General Public License. We fought Disney’s attempts to extend copyright terms to ridiculous lengths in order to protect the commercial value of Mickey Mouse and Goofy....although we lost that one. We keep fighting the film and publishing industries’ attempts to criminalize our fair use of copyrighted works and digital sharing. We keep fighting projects that try to capture or shrink the public domain, such as Google Books. We keep fighting the music industry’s scorched-earth defense of antiquated 20th Century business models and its pitched resistance to digital innovation and Internet distribution of music. We keep fighting music collecting societies that insist on exclusive copyright arrangements with artists that prohibit artists from using Creative Commons licenses. We are fighting the Anti-Counterfeiting Trade Agreement (ACTA), an international treaty that seeks to bypass the democratic process and public debate in order to enact the content industries’ most delirious wish-list of intellectual property abuses. Or so we must presume. The ACTA deliberations are being held in complete secrecy. Public-interest organizations cannot even read the proposed treaty without signing non-disclosure agreements! I might add that the Obama Administration — which has declared itself a champion of open government — has raised no objections to this brazen end-run around the democracy and transparency. And these folks have the audacity to lecture us about the law and morality, and declare us pirates. The only reason the Digital Republic exists is because we have fought these many enclosures and threatened enclosures that attempted to convert our commons into a wall-to-wall marketplace.. Our freedoms exist only because we have sued, lobbied, agitated, organized, blogged, Twittered and publicized our cause. I have recited this history of our Digital Republic because we must understand this history if we are going to prevail against the great dangers that now loom. We must understand that our free culture is not naturally ordained. We have had to struggle to create it and protect it, often against great odds. And it remains vulnerable. Spain will take over the Presidency of the European Community in 2010 — and it has already announced its desire to tighten its control over the Internet and to criminalize the commons. Naturally, we had hoped that this new stage in EU politics would be a positive turning point — a long overdue recognition of the value that the commoners generate and our rejuvenating influence on democracy, culture and the economy. Regrettably, it looks as if Spain’s leadership will bring new waves of reactionary resistance at the behest of industries that refuse to embrace the Internet era. The recent Nobel Prize Winner for Economics, Professor Elinor Ostrom, was recognized for her pioneering work on this very question. 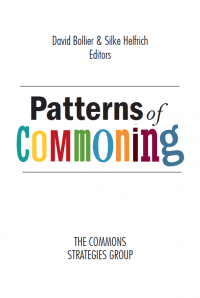 But her insights have not generally been applied to Internet-based commons, which are arguably the most robust and explosive forms of commons today. Why do some wikis work and others don’t? What makes for a successful free software development community? Can open platforms hosted by Facebook and Twitter host authentic commons, or are they destined to be faux commons governed by corporate "terms of service" contracts? We need much more study of the new paradigms of how to manage and govern our commons, and we need to develop new metrics of value. 2. We should insist that government actively support the commons, just as it supports the market. Government does all sorts of things to help markets function well. It builds infrastructure, pays for courts, provides legal protections, promotes trade and gives out subsidies. Why shouldn’t government provide similar support to help the commons work well? If the commons can produce value efficiently, in a socially constructive manner, and with benefits to future generations, it certainly deserves as much government support as markets. Let’s face it, the commons is a more benign form of value-creation than many businesses, most of whom are short-term oriented, depend on all sorts of unacknowledged subsidies from the commons, and then dump their waste and disruption — or "externalities," as economists politely call them — on the rest of us. Most ideological debates tend to focus on the relative merits of the state versus markets. I consider that a false choice. They ignore the commons. 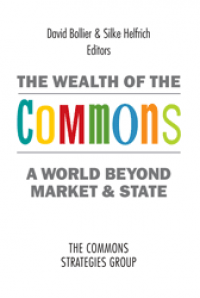 The commons is an intermediate form of governance and collective provisioning that has its own advantages over large government bureaucracies and impersonal, sometimes-predatory markets. 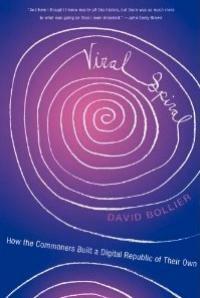 The commons is a voluntary, self-organized political economy that provides important services and goods. It builds social capital. It promotes civic participation. And it often commands greater personal loyalty and moral legitimacy than either governments or markets. I say it’s time to explore how government can play a more active role in nurturing the commons sector and the type of value that it creates. I can imagine government agencies putting public information and archives online, or passing new laws to recognize the collective interests of a Web community or legal rights in collective content. Government could provide seed money for commons, much as it provides development assistance and R&D support to new business. Government could also make sure that its trade and economic policies assure a more humane and eco-friendly balance between markets and commons. 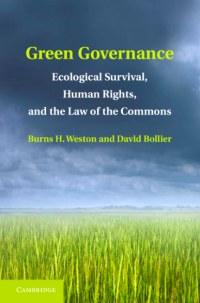 If it is to be effective, however, any government involvement in supporting the commons must also maintain a sufficient distance and respect for the commons sector and not dominate and control it. 3. We need to explore open business models that work in tandem with commons. Free culture celebrates entrepreneurialism. We believe in the importance of open markets and fair competition. So we are hardly anti-business. We simply reject the over-reliance on closed, proprietary technologies and on copyright law to protect entrenched business models and stifle innovation. We refuse to let business dinosaurs veto the creative possibilities of the future. The problem is that many market players historically wield their power to enclose the commons, destroying its special value-creating capacities. This can make it very difficult to balance the differential logic and values of markets and commons. Conventional market relationships tend to be impersonal, short-term and transactional -- while our relationships in a commons tend to be more personal, long-term and enduring. Conventional companies like to exercise extreme control over employees and customers, in part because investors want reliable, predictable results. 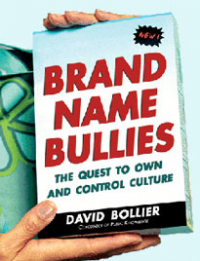 Paradoxically, extreme control in a networked environment undermines trust and performance. So if a business wants to reap advantages from open platforms and the commons, it needs to understand that it should strive to cultivate trust, and not dictate behavior. My point: We need to identify those hybrid, open business models that conscientiously try to balance a respect for the commons with the power of markets. We also need to identify and study those businesses that are nonprofits in disguise, which are driven by a social mission. 4. We must consolidate the diverse tribes of the Digital Republic into a more coordinated political movement. This is an urgent necessity for all sorts of immediate policy issues: copyright enforcement policies, net neutrality rules, the Anti-Counterfeiting Trade Agreement, the regressive policies of collecting societies, and much else. The Digital Republic will be vulnerable unless we can participate in these policy arenas with intelligent representation and participatory grassroots. The Pirate Party, which has gained ground in recent Swedish and German elections, certainly has the right idea. Until we get a seat at the table, we are going to be ignored or run over. So let’s get over our sense of "cyber-exceptionalism" — that the Internet is a place that is separate from the "real world." Let’s get over the happy illusions that we are apolitical, or somehow beyond politics, or somehow insulated from the vagaries of power. Free software and free culture contain the seeds of a new political vision. It is not a vision that is left or right in any conventional sense. The Digital Republic is not an ideology or a conventional political party. Rather, we represent a powerful and insurgent worldview — one that has enormous political implications. Think about it: we believe in radical forms of openness, participation, sharing, inclusiveness and accountability. What nation-state dares to deliver on those principles? Which government dares to be as democratic and decentralized as we are every day? We stand for the triumph of open networks over rigid, closed hierarchies. We stand for decentralized control, to the extent feasible, over concentrated and centralized power. We stand for the sovereignty of the citizen and amateur over the brute power of the state and credentialed expertise. This is what I mean by political. We are the stewards of a new vision of participatory governance. Our digital commons enable us to confront the abuses of predatory companies, industry oligopolies and anti-democratic governments. I believe that the commoners have a special duty to look beyond our own tech world and apply our talents to the urgent issues of our time: Global warming. The privatization of water. The patenting of life. The theft of the commons in the global South. We have many commons-based solutions to offer in these areas. Indeed, our Digital Republic may be an indispensable tool for challenging the insanities of the neoliberal policies and consumerist fantasies that are responsible for so much environmental harm and social injustice. 5. We must change the neoliberal discourse by introducing a new language of the commons. Let’s slip the shackles of Property-Speak. We will never be able to defend our commons if we continue to speak a language of private property — when our real mission is about stewardship of shared wealth and a host of non-market values. The discourse of copyright law and neoliberal economics does a great job of articulating the interests of property. But what about our interests? 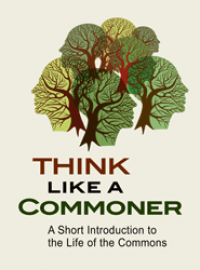 What about the social logic of commoning? For that, we need to develop a richer language and popularize it more widely. Obviously, we must continue to traffic in the old, familiar categories of copyright in official public policy fora. But that does not mean we cannot also cultivate and promote a new vocabulary that can begin "encircle" neoliberal economics and policy, much as a player of the Chinese game "Go" surrounds his opponent with his stones. This will be our most effective long-term tool in transcending the backward-looking logic of neoliberalism. That will be the best way to advance our values and political interests on the global stage. Everyone in the tech world is always looking for the next big trend, the next killer app that will "change everything." Well, here’s my prediction: We are the killer app. We’ve already shown that by building the Digital Republic — the achievement of a generation. We don’t have the imperial ambitions or money-making zeal of our corporate counterparts. We just want to reclaim that which is being stolen from us, fortify the Digital Republic, and advance the very special value-proposition of the commons. That’s a noble mission that can unite and inspire us all.